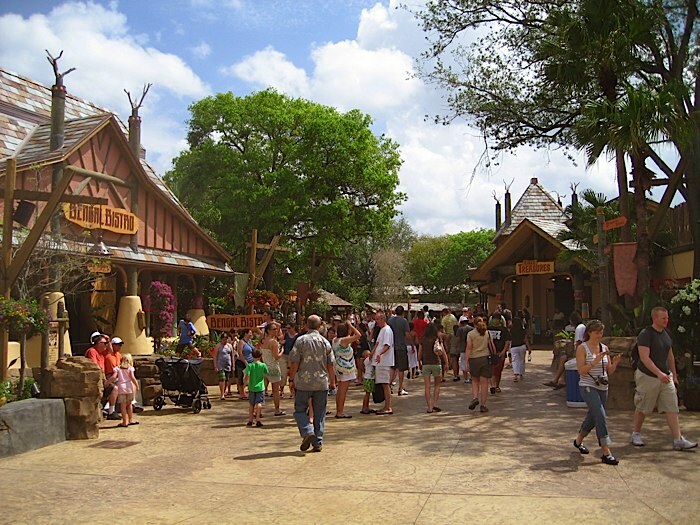 Busch Gardens Tampa, Florida Jungala is a four-acre family attraction that transports guests into an exotic jungle setting complete with towering trees, cascading waterfalls and elaborate stone structures. 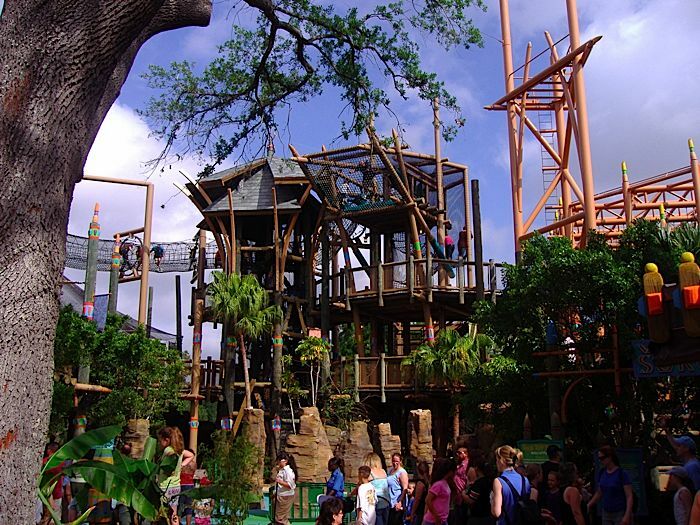 This mythical jungle village includes a three-story adventure climb structure, two thrill rides, a water play area, restaurants and gift shop. 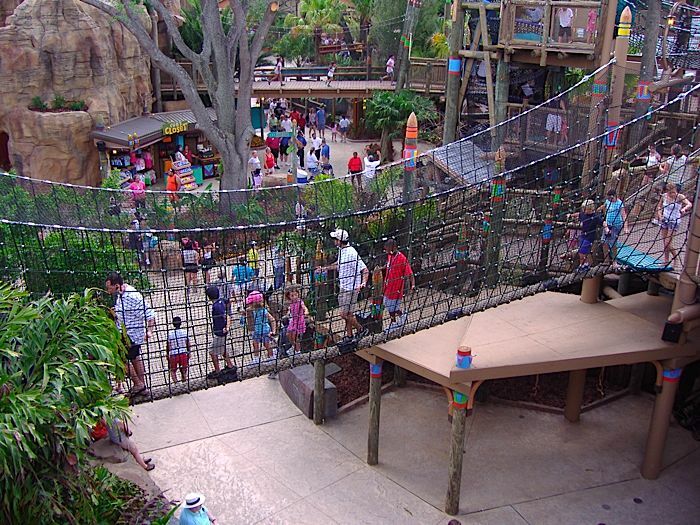 Still a popular kid-friendly destination at the park today, families enjoy fun and wild animal encounters at Jungala, including opportunities to view an endangered Bengal tiger and fun-loving orangutans. 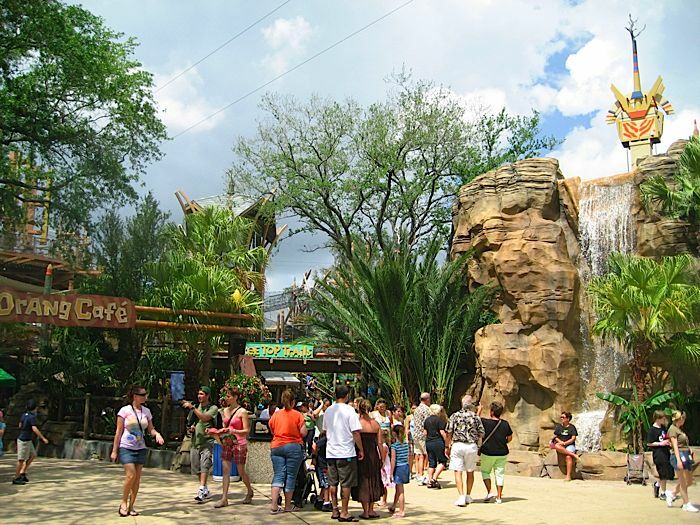 Working under the creative direction of Busch Entertainment, Wyatt Design Group* – led by Larry Wyatt – was responsible for final planning and design of Jungala’s non-animal attractions, architecture, interactive exhibits, and area development for this innovative family attraction. Key members of the Jungala design team included zoological architect The Portico Group, Seattle; graphic designer Hunt Design Assoc., Pasadena, and Electrosonic Systems, Burbank. *This project completed in 2008 for Busch Entertainment as Wyatt Design Group | MSI Design.